What is a Joker in Rummy? Jokers: In the deck, you will find three or four joker cards with design of a playful joker made on it. This card is the accepted jokers existing in each deck. Blank Cards: Every deck includes one or two blank cards. These cards are also used to play the joker in cash or free card games such as rummy. Pulled-Out Jokers: During the rummy game, a card is arbitrarily pulled out from the deck to play the joker. This card could be any of the number cards or face cards. If you pull out a 2 of diamonds from the deck as joker, then all the 2s are accepted as pulled-out jokers. How Do You Arrange Jokers in Your Hand? Rummy is a game of planning. As soon as you get your cards in hand, you need to arrange these in proper order so that playing gets easy. Most of the rummy cards players arrange the cards in a manner that all the jokers are placed to one end of the hand where they can be spotted easily. Towards the centre they arrange the probable sequences and towards the other end they arrange the cards that need to be disposed. Why Jokers are not used for Pure Sequences? A pure or natural sequence is termed as Life1. Making Life1 is one of the major challenges of the game. This is because a pure sequence in a 13 card rummy game needs to be pure or natural and you cannot use jokers or replacement cards to complete the pure sequence. Pure sequence can only be made using number cards, face cards or a combination of both. Where all can you Use a Joker in Rummy? Joker is regarded as a bonus because it simplifies the game greatly. A joker can help you complete your real sequence and the remaining melds quickly and without delays. You may use a joker to complete a sequence. Practice the use of jokers, go for rummy game free download and know the trick of a joker card. For example, if you have an A of Spades and a Q of Spades, you may use a joker in between these two cards to make the sequence of A, K, Q. A joker may also be used to complete sets. For example, if you have a 10 of spades and a 10 of clubs, you may use a joker to represent 10 of hearts and complete the set in your hand. When Is It Necessary to Dispose a Joker? In rare occasion, it may become necessary to dispose off a joker. This happens when you have multiple jokers in your hand and this makes it difficult for you to make a pure or natural sequence. In such instances, you should dispose a joker to let better cards come into your hand. 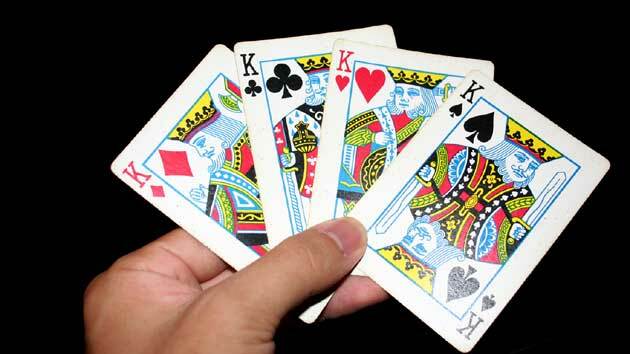 Follow the above-mentioned tricks of joker cards and utilize this to clinch a game.